The Internal Revenue Service has approved plans to begin using third party private debt collections companies starting sometime in Spring of 2017. They have selected four collection contractors that will be used to implement the collection of overdue federal tax debts. This program, which was authorized under a federal law enacted in December 2016, will enable these collection companies to collect on the government’s behalf, outstanding and inactive tax debts owed by taxpayers. One of the conditions of these companies receiving these contracts is that the agencies and all representatives, must respect taxpayer rights which will include, among other things, abiding by the consumer protection provisions of the Fair Debt Collection Practices Act. The collection agencies will be mainly focusing on cases where there is an outstanding tax debt but the IRS, for one reason or another, are not actively working the case. 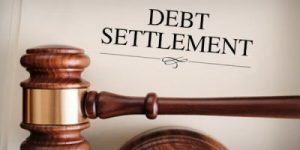 These could be due to an overload of cases in a specific area of the United States, inability to locate a taxpayer or get a response from the taxpayer or that the debt is just an older balance and has not been actively worked by an IRS agent in some time. 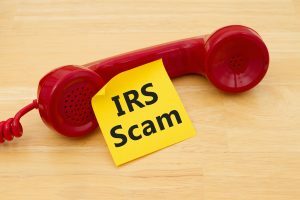 The biggest question that I had when this was all brought up in 2016 was how this would impact the amount of IRS scams and fraud we are already seeing in relation to the IRS and taxpayers. The IRS has eased my concern on this a bit by advising that they will be sending written notice to the taxpayers and any representatives on file that the account is going to be transferred to a private collection agency. The agency the account is then assigned to will also send out a second and separate letter to the taxpayer and any representatives confirming the transfer of the case to their office. These private collection agencies will identify themselves as contractors of the IRS collecting tax debt. The IRS has stated that all employees of these agencies will be held to the provisions of the Fair Debt Collection Practices Act and that they must treat taxpayers and their representatives with respect and honor the taxpayer’s rights. It has also been confirmed, that none of the contracted collection agencies will ask for payment with a prepaid debit card, so if this occurs, be wary of the authenticity of the person on the other end of the phone. In fact, the IRS has advised that the collection agency will not even collect payments directly to them, all payments will still be sent payable to US Treasury or can be made online through the IRS Direct Pay website. The IRS has chosen four collection agencies to perform these services. Taxpayers do have the option if they do not wish to work with the assigned private collection agency to make a request, in writing, to the private collection agency. We are hoping further details on how this will look will be issued prior to the collection agencies beginning to take on cases, but as of now that is the only guidance we have seen. 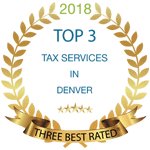 If your case is assigned to a private collection agency and you feel that your taxpayer rights are being violated, contact True Resolve Tax to help you handle the process and ensuring your rights are being honored.